My recent column on the Hove Park Railway prepared me somewhat for a recent tour of the famous Bluebell Railway. Although the operation at Hove Park involves trains that humans can sit on, rather than in, the principle is very much the same. The combination of steam, speed, engineering and history excites. The Bluebell Railway comprises a stretch of line and three stations from the axed Lewes & East Grinstead Railway, that opened in 1882. 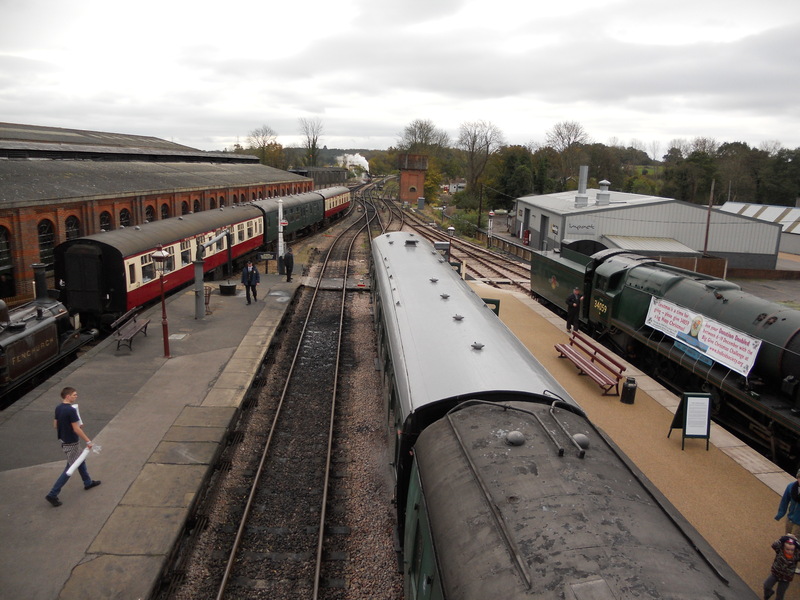 The line was closed in 1958 which soon led to the formation of the Bluebell Railway Preservation Society. A chance meeting with Matthew Cousins, the Bluebell Railway’s in-house painter, prompted an invitation to see what happens behind the scenes. 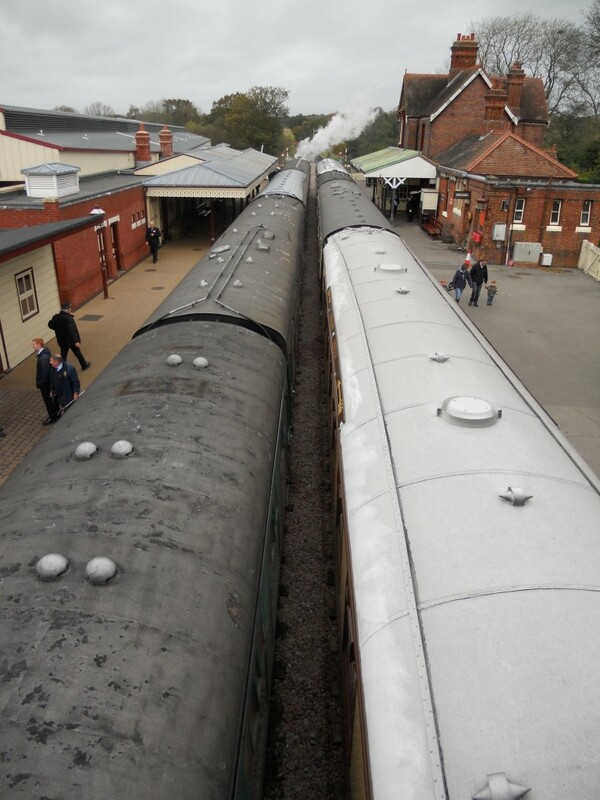 My journey from Sheffield Park Station to Kingscote, via Horsted Keynes, began on a Bulleid brake third class carriage in ‘ British Rail rolling stock green’. Its original colour was ‘blood and custard’ apparently. Getting these terms right is key to getting on with the volunteers as I found out when I asked the guard the way to the food carriage. My fellow passengers laughed when he shouted, “It’s called the buffet car!” at me. The red-brick stations themselves were each built in the Queen Anne style. On the cold day in question, their open fires were very much appreciated. A myriad of buildings have been added in various degrees of sympathy over the years, many of which are required as housing for the numerous engines and carriages that serve (or that will be serving once restored) the railway. I was struck by just how many large projects are currently underway in the various peripheral train sheds. Works to locomotives take place at Sheffield Park. A quick tour revealed just how large Brighton’s connection with trains once was, as brass badges on the various engines indicate how many were made at the old works by Brighton Station – now the New England Quarter. One carriage was home to chickens before it was rescued and stripped for repair. If it is to be done properly, the right materials must be used. The expense of restoration is astronomical when a 6’ 6” length of 4” square teac costs £300. Although the largest ongoing project is the extension of the line to East Grinstead, I was particularly taken with the ongoing restoration of a First Class Pullman carriage from around 1928 called ‘Fingal’. The colour will be ‘chocolate and cream’.